Our haulage provision offers a valuable and cost-effective service and is available for clients in all industry sectors. 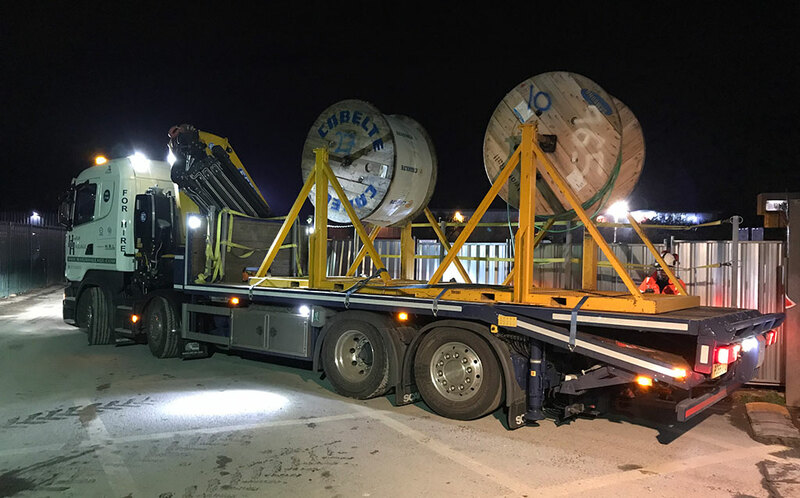 In addition to our core rail provision, we work with general hauliers, and lift and shift companies, container companies, utility companies, and plant and civil engineering companies – all of which benefit from our valuable expertise, experience and equipment. Our grab wagons provide vital support to our construction and rail industry partners. The basis of our haulage service is a 2017 Scania R Series (R450 LB 8×2*6 HSA). Its modified body includes a 40 tonne/metre Effer crane which is able to carry RRV trailers and MEWPS in its rail gauge running rails. It has a purpose-built, removable rail-carrying frame that can transport 8 x 60-foot rails. 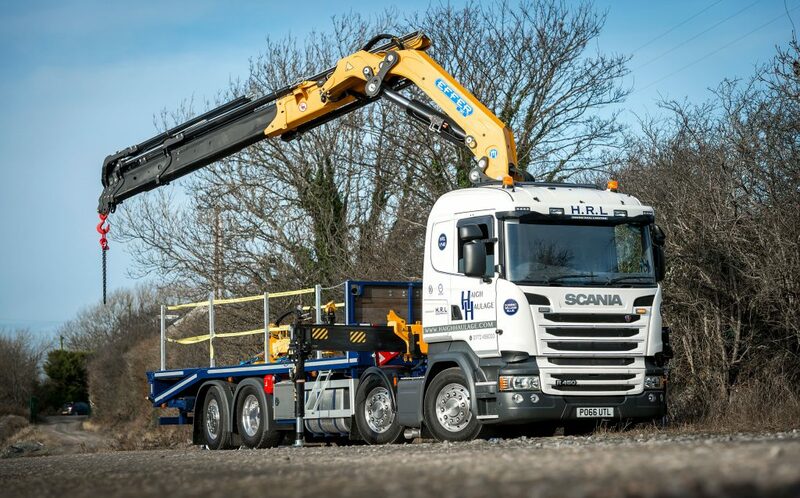 The truck features a twin sleeper cab, a Euro 6 engine and Beaver tail fold flat ramps, providing plant access and all the latest industry safety systems. This lorry is built for the harshest of environments, provides superb reliability and is full of features to enhance the project experience and provide each client with a fully robust haulage offering. In industries where reliability is the key, our grab wagon offers no compromises when it comes to quality and provides low Euro 6 emissions, as part of our wider sustainable approach to contracting. Our operators are fully trained under the ALLMI scheme, hold railway PTS certificates and are also full first aiders. Please enter your requirements below and we will respond as soon as possible. Alternatively, call 01772 458000.